W.H.Tildesley has the capability to drop forge components that are used in various naval and marine applications worldwide. Optimising material grain flow to achieve strength and resilience and evaluating the use of lightweight alternative materials. 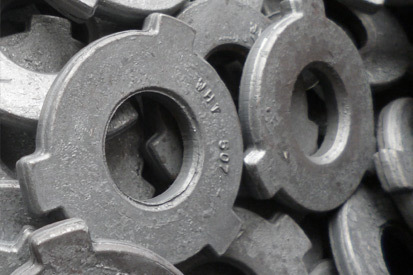 Forged components can be manufactured in a range of ferrous and non-ferrous materials. Standard carbon & alloys steels, stainless, duplex, non-ferrous and super alloys. Copper alloy forgings are a common choice for naval applications. We are a diverse forging company who strive to meet the standard and bespoke requirements of the customer. W.H.Tildesley is committed to ensuring that the products and services we provide consistently meet the needs and expectations of our customers.